How to solve the problem of excessively high pressure at the entry point of installations? By using components termed pressure regulators; essentially, any object capable of bringing an excessively high input pressure down to a fixed output value is defined as being one, although we might also come across it under the name of reducer. The best technology to build pressure regulators is the compensation one, capable as it is of ensuring a very steady output value, by playing with flow rates and thus with pressure drops inside it. What can we regulate? Any type of fluid, though in our instance we are speaking of combustible gases or of water entering an installation, being the two major categories for which pressure regulators are manufactured at the Lumezzane plants of Gnali Bocia. 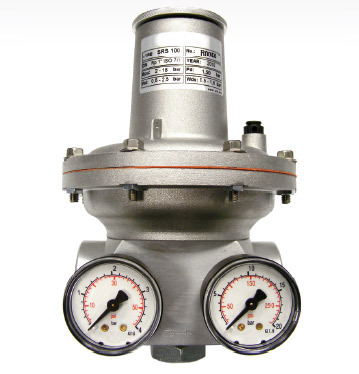 To manufacture pressure regulators, use is as always made of latest generation automatic machines, in order to ensure to our customers the best performance and endurance. 15/06/2016 Compensated pressure regulators to fit any situation Pressure regulators have the shutter (spear valve) that helps the adjusting spring by creating a significant load loss. 15/10/2013 High and low pressure regulators designed by Gnali Bocia Systems that function with compressible fluids need to be able to maintain the working pressure constant and therefore use suitable pressure regulators.